We are looking forward to meeting you and helping you change your future! Join us on a 30 minute conference call and learn how build residual income in the next 90 days! We will contact you with call details! Calls are in English. Zurvita Holdings, Inc. was founded in 2007 and is based in Houston, Texas, (USA). The company currently offers consumer products through independent marketing representatives. Its principal products comprise of Zeal Wellness, a natural nutritional drink; Zeal Advanced Formula Protein Shakes designed to block carbohydrate absorption; Zeal cleanse, an herbal and probiotic cleanser; Zeal burn, a natural thermogenic fat burner, a natural carb blocker and appetite suppressant; and Zeal weight management program that consists of Zeal protein shakes, Zeal burn, and Zeal cleanse. This system comes with a weekly coaching system to encourage eating plans as well as a workout plan. The Company has rapid growth potential due to its experienced sales management team’s aggressive approach with pricing and compensation. Zurvita Holdings, Inc. is a fast growing company which recently was ranked as one of the top 100 Global Direct Selling Companies. 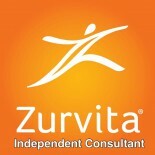 Ready to Become a Zurvita Consultant? Interested in Speaking to us? Please respond above now so we can send you call details. We have limited spaces available for you and those you have chosen to invite! We are marketing to selected countries. Please click here to see if you qualify at the moment. I am a Network Marketing Professional and team leader with over 10 years experience in MLM Industry in Nigeria, Africa. I would want to partner with you in bringing your business opportunity/healthy products to the nation’s of Africa. I Believe that know is the time to bring your company International Expansion program to Africa. Let’s do it together! I look forward to your early response soon. We are delighted that you have found us and the wonderful opportunity Zurvita has to offer. We will contact you for future business opportunities for now, we are not yet marketing in the Continent of Africa. Thank you again. I am interested in this products for myself my wife and possibly selling it too. Please contact us so we can get you started! You can earn $2000 to $5000 in the next 90 days. Change your lives while helping others change their lives. This entry was posted on July 15, 2015 by Zurvita.com/HealthRoads in Australia, Business Opportunity, Canada, Hong Kong, Republica Dominicana, Singapore, United States, Zeal For Life Consultant, Zeal For Life Products, Zurvita Events and tagged business opportunity, Faith, Health, Kingdom Business, Leadership, legacy, marketing, MLM, Principles, Purpose, Relationships, Residual Income, Team, Team Building, Wealth.